Kanuga’s annual Renewal Conference brings families and friends together for a week of teaching, worship and healing. Designed as a spiritual recharge, the week features dynamic morning and evening teaching, afternoon relaxation and workshops and powerful worship. Right Reverend Mike Hill, Bishop of Bristol, was born in Manchester, UK and brought up in Cheshire. He spent time in the world of business before considering a call to ordained ministry, following a short period as a part of the Scargill Community in Yorkshire. There he met Anthea, an English nurse who had returned from Nigeria where she had been nursing during the Biafran conflict. They married in 1972. Mike trained for ordination at Ridley Hall and Fitzwilliam College, Cambridge. He was ordained in 1977 and served as curate of St Mary Magdalene, Addiscombe until 1980. From 1980 – 1983 he was senior curate at St Paul’s Slough & from 1983 to 1992 he was priest in charge, then Rector of St Leonard’s Chesham Bois. In Slough and in Chesham Bois the churches he had responsibility for grew consistently. In 1990 he became Rural Dean of Amersham & was appointed the Archdeacon of Berkshire in 1992. From 1998 to 2003 he was the area Bishop of Buckingham. 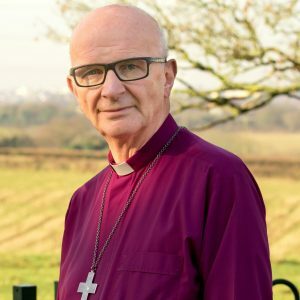 From 2003 and since retiring in September 2017 Mike served as the 56th Bishop of Bristol. 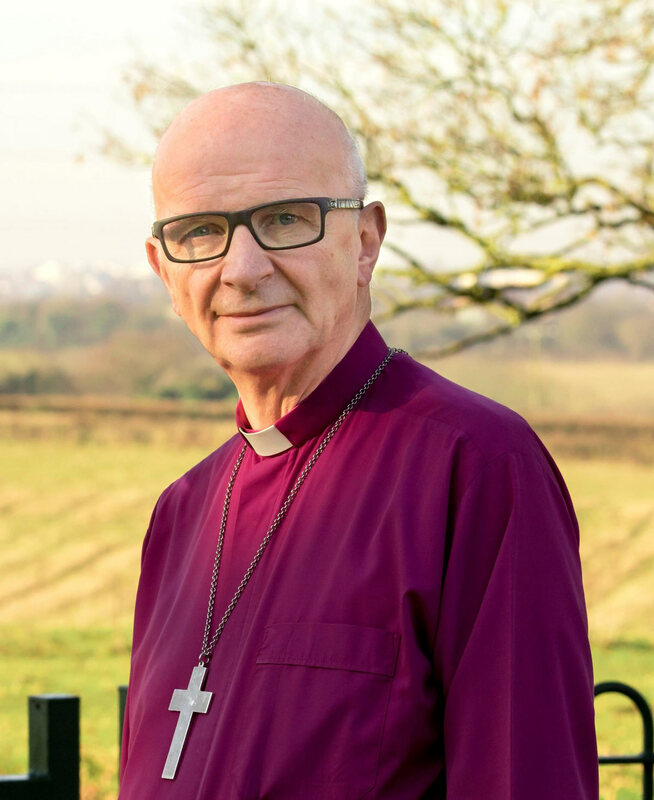 He has held a number of national responsibilities within the Church of England including as a Governor of the Church Commissioners, Chair of the World Mission and Anglican Communion Panel and Vice-Chair of the Mission and Public Affairs Council. He represented the House of Bishops on the Anglican Communion Panel. In 2009, he became a member of the House of Lords. He is a sought after speaker and teacher in the UK and internationally. He was also the first Chair of the Willow Creek (UK) Association and a Patron of several charities. Mike is passionate about evangelism & leadership development, within & beyond the Church. He is a lifelong supporter of Manchester United football club & is a keen guitarist. He is an avid reader and an occasional and published author. His books ‘Reaching the Unchurched’ and ‘Lifelines’ sought to encourage the Church to think and to plan for growth. The Reverend Joe Gibbes was born and raised in Columbia, South Carolina. He grew up in the Episcopal Church and gave his life to Christ when he was 15. After graduating from Wake Forest University and a brief stint in Colorado as a ski bum, Joe made one of the best decisions of his life and married Amy. They now have three amazing children that have seen to it that Joe has learned to pray daily. 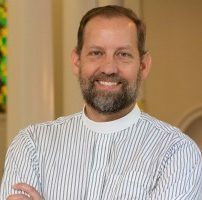 Joe graduated from Trinity School for Ministry in Ambridge, PA and served churches in Charleston, SC and Birmingham, AL before becoming Rector of Church of Our Saviour, in Jacksonville, Florida in December 2015. 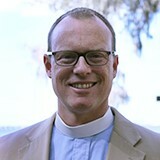 The Reverend Korey Kincaid currently serves as the Director of Youth Ministries at St. Paul’s in Summerville, South Carolina. He received his Master of Divinity from Trinity Evangelical Seminary in Chicago, Illinois in 2003. He began fulltime ministry pastoring a small church in northern Illinois before spending six years as the Pastor of Family Ministries at Grace Community Church Overbrook, Kansas. Though raised in a non-denominational tradition, Korey was always drawn to the liturgy. 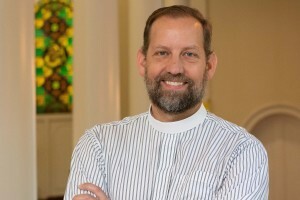 He has been confirmed in the Anglican Communion, served at St. Aidan’s in Kansas City, Missouri, and was ordained in October 2018 to the Sacred Order of Priests in the Diocese of South Carolina, all the while dedicating himself to raising up the next generation that will change the world in the name of Jesus Christ. He and his wife Jamie have been blessed by God with four children: Grace, Trinity, Anna, and Kristian. Rates are per person (each person must be registered) and include 5 nights lodging and meals beginning with supper Sunday and ending with breakfast on Friday. Balance due: Payment in full is required beginning 30 days before the event start date (May 25, 2018), which is also the Balance Due date for those only paying the initial deposit when registering. Kanuga does not hold credit card information and will not be able to automatically charge the remaining balance due on May 25, 2019. Cancellations: Cancellations and refunds are provided in a tiered system based on proximity to the event start date. Any cancellation made at least three weeks (21 days) before the event start date will result in the forfeiture of the $100.00 deposit and a refund of any remaining balance. Cancellations made 20-15 days before the event start date will result in the forfeiture of the $100.00 deposit and receive a 50% refund of any remaining balance. Cancellations made 14-8 days before the event start date will result in the forfeiture of the $100.00 deposit. You will then receive a 25% refund of any remaining balance. Cancellations made within 7 days of the event start date are not eligible for a refund. Cancellations made by June 03, 2018 will result in the forfeiture of the $100 deposit and a refund of any remaining balance. Cancellations made from June 04 to June 09, 2018 will result in the forfeiture of the $100 deposit. You will then receive a 50% refund of any remaining balance. Cancellations made from June 10 to June 16, 2018 will result in the forfeiture of the $100 deposit. You will then receive a 25% refund of any remaining balance. Cancellations made beginning on June 17 are not eligible for a refund.